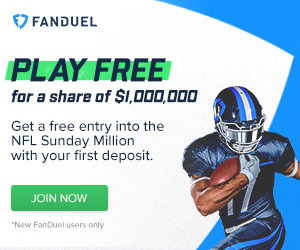 Now that bye weeks are a thing of the past, it's time to lock in for the stretch run towards the fantasy football playoffs. Injuries and matchups are still at the forefront of our concerns, and we'll have our eyes on the waiver wire to keep our options open as the most important games of the year unfold. If you've got a talented playmaker or two or three on your roster, chances are you're in good shape heading into Thanksgiving week. Otherwise if your not so fortunate (like your's truly) it's all about playing for pride, baby. We'll sort through all of the latest injuries, matchups, and sleepers as we unveil our week 12 wide receiver rankings. 1. DeAndre Hopkins vs NO- Nuk won his matchup with Darrelle Revis and the Jets in week 11. His reward? A week 12 date with the dreadful Saints defense. Forget about Brian Hoyer and T.J. Yates. Houston could trot out Sage Rosenfels if they wanted to and Hopkins would still have himself a day. 2. Julio Jones vs MIN- Julio continues to put up monster numbers even as the Falcons' season continues to spiral out of control. There have been just 2 games this year in which he has failed to top 90 yards. 3. Odell Beckham Jr. @ WAS- Fresh off of a bye, Odell gets a Redskins unit that just got chewed up and spit out by Carolina. He's seen a whopping 29 targets over his last 2 games. 4. Antonio Brown @ SEA- Legion of Boom, '86 Bears, Steel Curtain, etc. It doesn't matter. Ben Roethlisberger is back, and so is Antonio Brown's value as a high-end WR1. He'll have the LoB's utmost attention, having averaged a voluminous 16 targets over his last 3 games. 5. Alshon Jeffery* @ GB- Still struggling with injury, but if he can go, Jeffery's workload is right up there with the likes of Beckham and Brown. The Packers' secondary is vulnerable, and Jeffery would be looking to exploit them as he has yet to top 100 yards against Green Bay in 7 career meetings. 6. Calvin Johnson vs PHI- Megatron hasn't topped 100 yards since week 6, but he's still seeing plenty of balls come his way. He'll get a plus matchup with the reeling Eagles in week 12. Johnson supplies owners with a solid 8-10 point floor in standard formats. With Detroit showing signs of life, it's only a matter of time before he finds his way back into the end-zone. 7. Demaryius Thomas vs NE- No Peyton, no problem. Demaryius put his after-catch skills on display when he housed a short throw from Brock Osweiler in the first quarter against Chicago in week 11. Peyton Manning is still iffy entering week 12, and the Patriots come calling, but Osweiler showed he has eyes for Thomas, having targeted him 14 times over the last 5 quarters. 8. Dez Bryant vs CAR- Dez was glad to have Tony Romo back under center in week 11. He found the end zone against the Dolphins and will find plenty opportunities to shine as Dallas goes home to face Carolina on Thanksgiving afternoon. Dez has averaged nearly 7 catches and 1 touchdown on his last three Turkey Day performances. 9. Larry Fitzgerald @ SF- He'll have a chance to put up big numbers against the lifeless 49ers. Fitzy has been very effective out of the slot this year, and is dangerous as ever in the red-zone. 10. A.J. Green vs STL- It feels like it's been a minute or two since A.J. had "one of those games," but it's coming. His lack of touchdowns has been a disappointment, but he gets a Rams squad that has been beaten through the air in recent weeks. 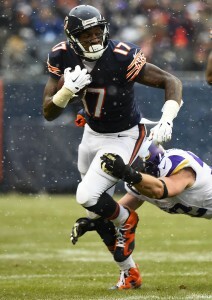 Alshon Jeffery has been in and out of the Bears' lineup all season. Corey "Philly" Brown's injury opened the door for Devin Funchess to shine in Carolina. Dorial Green-Beckham vs OAK- There's no denying DGB's skill set. His time is coming. Oakland at home seems like as good a chance as any for a breakout game from the rookie. Tyler Lockett vs PIT- Another exciting rookie who has emerged as more than just a return man in Seattle. Devin Funchess @ DAL- He's officially part of the offense now. Saw extra work in week 11 as Corey Brown missed out. Has a chance to thrive against a beatable Cowboys secondary on Thanksgiving day. Marquess Wilson @ GB- If Alshon Jeffery and Eddie Royal miss out, Wilson is the de facto top target for Jay Cutler as far as wide receivers go. Nate Washington/Cecil Shorts III vs NO- They are playing the Saints. Basically, that's all you need to know. Delvin Breaux, the Saints' most competent DB, will spend the majority of the game shadowing DeAndre Hopkins, leaving Shorts and Washington to carve up the rest of the secondary like a Thanksgiving turkey. J.J. Nelson @ SF- The speedster is developing into a complete wideout. Had a score, another big catch, and drew a crucial PI call against the Bengals in week 11. His overall skill set (not just his top-end speed) is underrated.